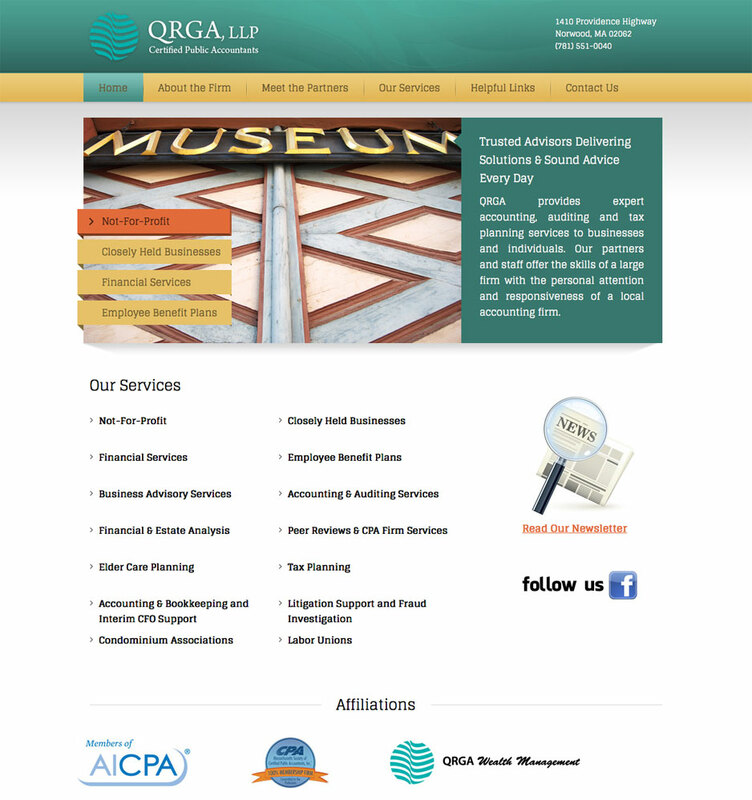 QRGA needed their CPA firm website redesigned because they had a very old website that was starting to look outdated. They also wanted to add other important items like their latest newsletter, Facebook page and affiliations. GetReady Web Marketing designed a SEO optimized WordPress website that allows them to update content as often as they wish.